(CBS/AP) Mariah Carey says there's no feud between her and fellow new "American Idol" judge Nicki Minaj at the moment. Fox announced Sunday that Minaj and Urban would join Carey and Jackson as judges on "Idol" following Jennifer Lopez and Steven Tyler's exits in July. Carey tried to quell rumors about her quarreling with Minaj by saying they've only been together two days and "a feud takes a little longer to happen." 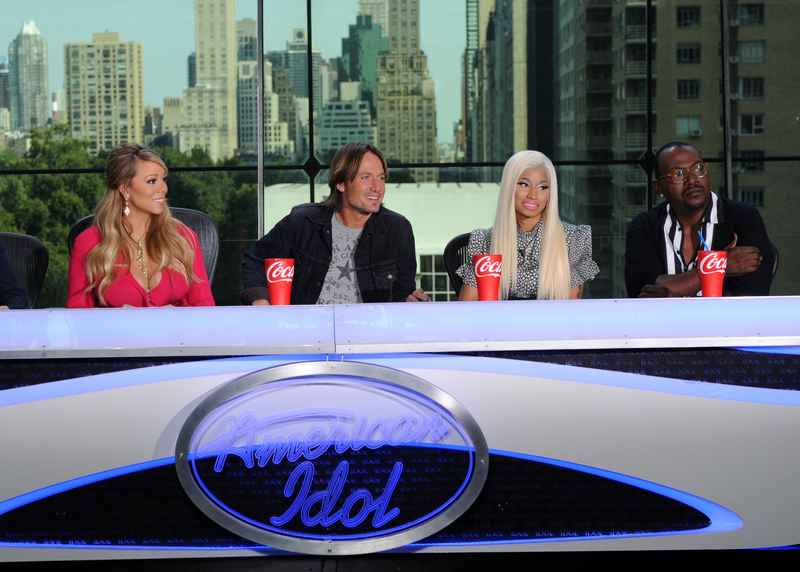 Minaj says the new "Idol" judges are "getting along wonderfully, darling." Minaj and Carey collaborated on a remix of Carey's song "Up Out My Face" in 2010. Carey confessed she's "never been a fan" of singing competition shows. "I'll be completely honest," she said. "But I realize what this show has done for such talented artists and truly giving them careers." When asked why TV watchers should view "Idol" versus another Fox show, "X Factor," which boasts Britney Spears and Demi Lovato as judges, Carey simply pointed her fingers to herself. "Did I do that? I didn't mean that as a final gesture," she said with a smile. "I'm sorry." Then the 42-year-old multiple Grammy Award-winner said she wants to help those who dream of careers in music even if they don't get to move on to the next round on the show. "(What) I'm bringing to the table is years of experience, writing songs, performing," she said. Minaj, who has had multiple hits on the Billboard charts and two platinum albums, said she's been through a lot since she came on the scene in 2009 and she wants to give the contestants a real perspective of the music industry. "I would love to be able to tell the contestants honestly and truthfully what they can really expect, and sometimes you have to tell people, 'Hey, you really might not want to be in this,"' she said. According to The New York Daily News, Minaj added, "I think that's a part of what I bring... just being part of the now moment in pop culture and being able to share it with people who want to do it now. Having realized that sometimes, you're going to get ripped apart." The 12th season of "Idol" airs in January.